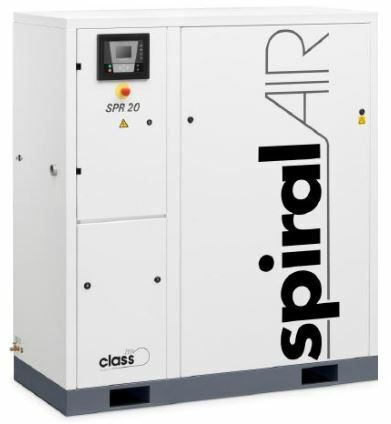 The spiralAIR scroll compressor from Chicago Pneumatic provides oil-free air in a compact affordable package with a high efficiency design that offers reduced energy costs with easy handling and maintenance access. It will provide oil free air to ISO 8573-1 class 0 standard for your needs with worry free reliability. With a noise level as low as 53 dB(A) it can be installed close to the point of use without discomfort. The spiralAIR 2-8 is a single air end unit which is available in base or tank mount in 2, 3, 5 & 7.5 HP versions. They also have the option of an integrated dryer. 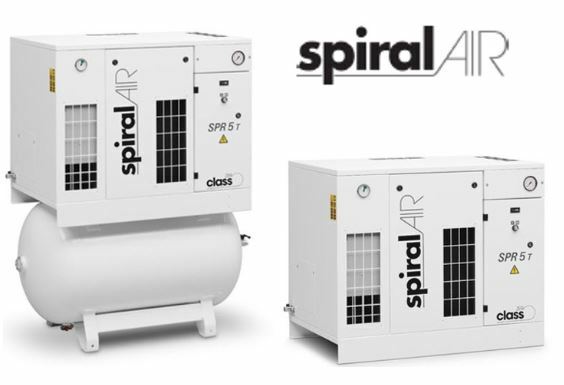 For higher air deliveries, or to meet the requirements of NFPA99 for medical use in a single unit, the spiralAIR multi 10-30 is available. This provides from 2 to 4 air ends in a single package. With the same quiet operation as a single unit they are controlled by a graphic control module which ensures optimum use of scroll modules for tight pressure band and maximum savings.